In a follow up to our recent post on the benefits of winter tires, RedlineNorth now looks at some other tips to get you and your vehicle ready for winter. First up is the road side safety kit. In general it’s always beneficial to have a roadside safety kit, but it’s even more essential during the winter months. Kits such as these include jumper cables, flashlight, snowbrush/scraper, telescopic shovel and a first-aid kit. If you don’t want to spend a lot you can get a basic kit and add to it with items such as; candles, power bars/granola bars and a blanket. Although you may not touch your kit for months it’s like a good insurance policy and you’ll be glad you have it the day you need it. 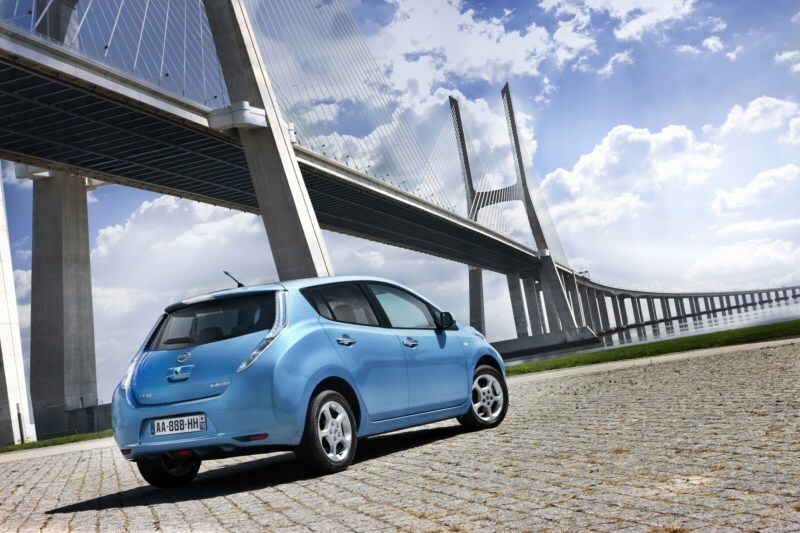 A second consideration for winter driving is to ensure you have a healthy battery. Winter is grueling on cars as the cold weather causes engine fluids to thicken making the engine harder to start, and the cold drains the power out of the batteries. 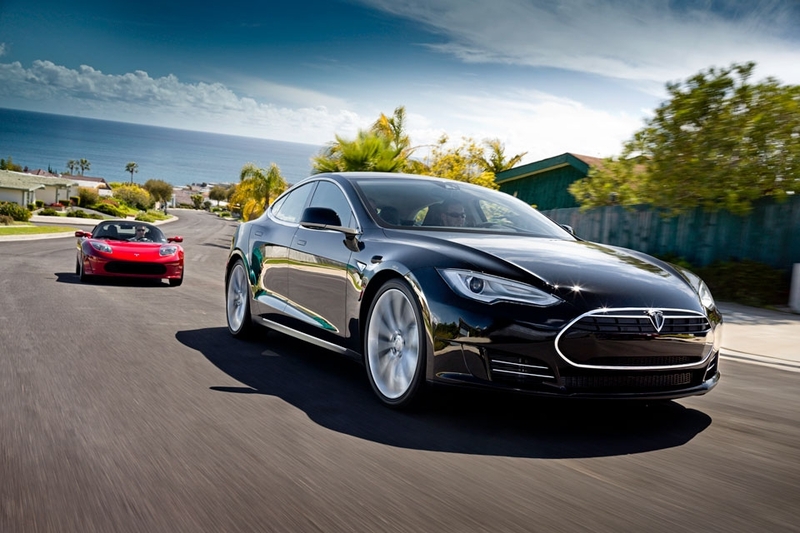 According to the Canadian Automobile Association at 0° Celsius a fully charged battery loses 35% of its power. As well, if your battery is more than four years old you may want to consider getting a new one, or have a diagnostic test done in order to ensure it’s still healthy. Also be sure to check your terminal connections to make sure they are snug. Proper winter wiper blades are a third consideration for winter driving. Summer wiper blades are not designed to accommodate the extra weight from snow build up. In addition, ice can form around the blade, clogging the wiper action. Winter blades are designed to be heavier and operate at temperatures of up to -40 degrees Celsius. At the end of the day if you can’t see out of your car or truck because of ice and snow build up you’re more likely to have an accident. Finally, for those drivers with extra enthusiasm for preparing their car for winter one can always consider restoring your car’s headlight assembly. This kit from Meguiar’s and others like it, can be used to repair oxidized, yellowed and scratched headlights. Over time as your vehicle ages, headlights become cloudy and dull, reducing overall light output. With shorter daylight hours during the winter, it’s even more important to ensure you get maximum light output. Here is an example of a headlight that has been restored. The left hand side shows the original condition and the right side shows the results of the restoration. For those of us who live in areas that experience a true winter season the responsibility is on individual drivers to make the necessary preparations with their vehicle. Hopefully, these tips have been useful and we wish everyone a safe and fun driving experience this winter. For additional winter driving tips visit the Transport Canada website. This past weekend, Team RedlineNorth headed to beautiful and tranquil Bancroft, Ontario, Canada to experience the sights and sounds of the annual Rally of the Tall Pines. 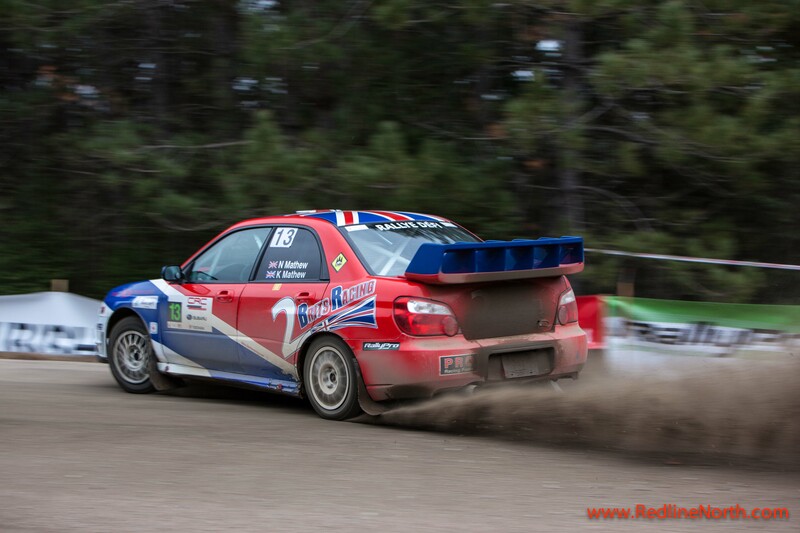 As the official final stage in the Canadian Rally Championships, Rally of the Tall Pines is home to a very competitive atmosphere as race results are critical to winning the national championship. The Canadian Rally Championship is comprised of six events held nationwide in a season that extends from February to November. The series is presented by Subaru Canada, supported by Yokohama Tire Canada and officially sanctioned by the Canadian Association of Rallysport (CARS). The all-season motorsport sees drivers and their co-drivers take modified road cars to the limit as they achieve blistering speeds over closed-road courses that typically cover more than 150 kilometers of gravel, dirt or snow-covered roads. Rallying is one of the most grueling and difficult of all the motorsports since it combines both driving ability and technical know how as teams must make repairs to the cars on the fly in between the various stages. To be successful, a team must have a skilled and fearless driver along with an experienced navigator who can read the maps and communicate instructions seamlessly to the driver. In addition, teams also need to have talented mechanics and technical support staff to be able to repair the vehicles in order to continue through the multiple stages. 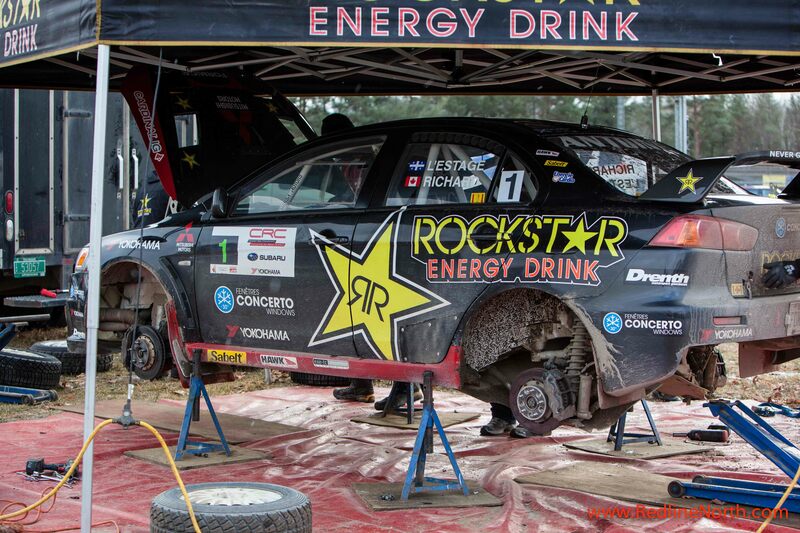 Here is a glimpse of the action from the service area after the first stage on Saturday. 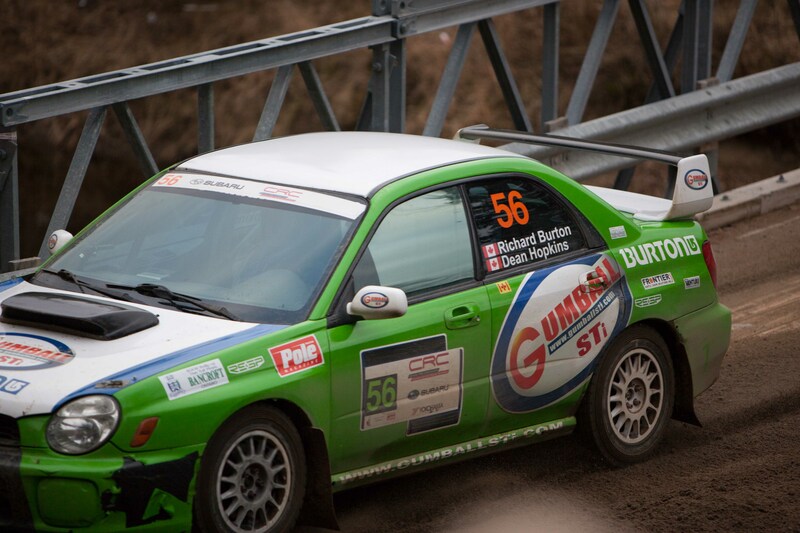 And this year did not disappoint fans once again, as it was another close race that saw Patrick Richard and Alan Ockwell’s Subaru edge out Antoine L’Estage and Nathalie Richard’s Mitsubishi for the victory. However, the championship was not on the line since Antoine L’Estage and Nathalie Richard had officially been crowned the 2012 Canadian Rally Champions with their victory at the 2012 Pacific Forest Rally in BC in mid October. 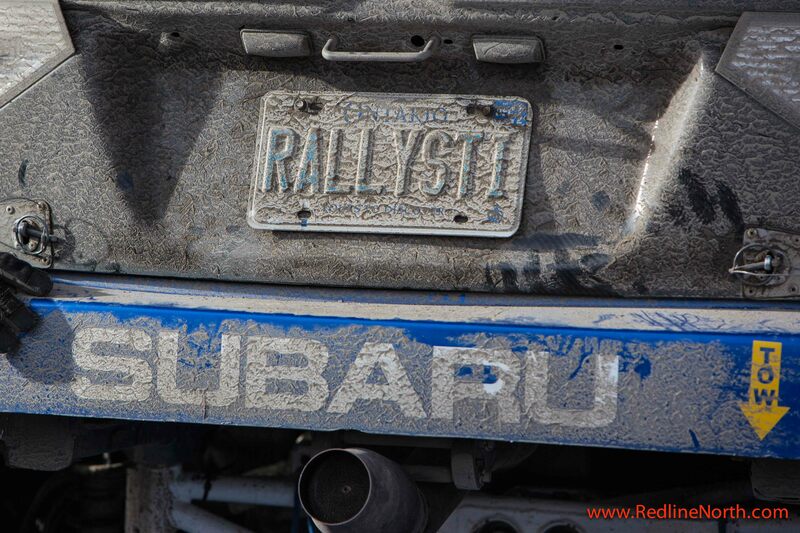 Nevertheless, the event was well attended by both local and regional fans along with rally enthusiasts from all over who come to Bancroft to experience Canadian rally racing in its finest form. Be sure to keep reading the blog as we will be publishing a follow up story soon. See here for more information on the Rally of the Tall Pines and to check out the final results. 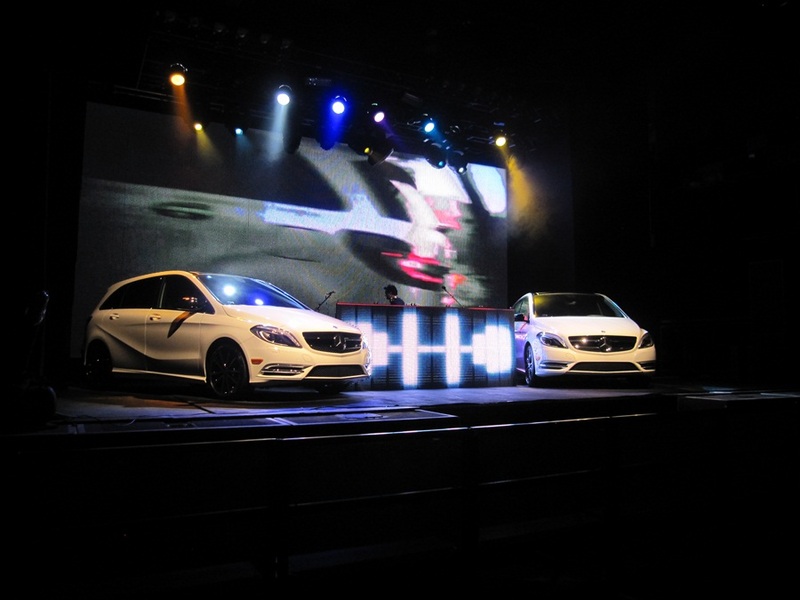 This past Wednesday night, Mercedes-Benz Canada hosted a free concert at Toronto’s Sound Academy called the B-Scene to celebrate the launch of its new B-Class. 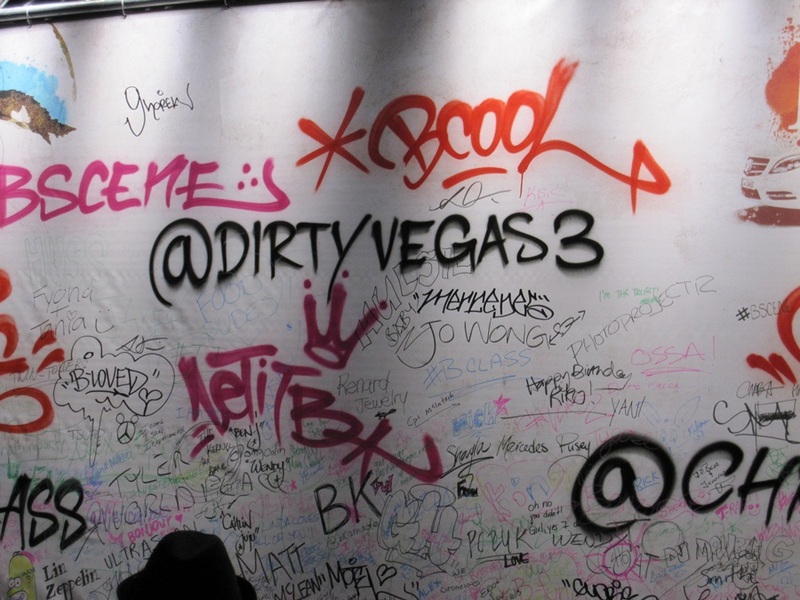 The concert featured DJ sets by Montreal based electronic music duo, Chromeo, and British house music group, Dirty Vegas. Mercedes-Benz Canada is aiming to target a younger demographic with the new B-Class and this is an interesting attempt to market differently. 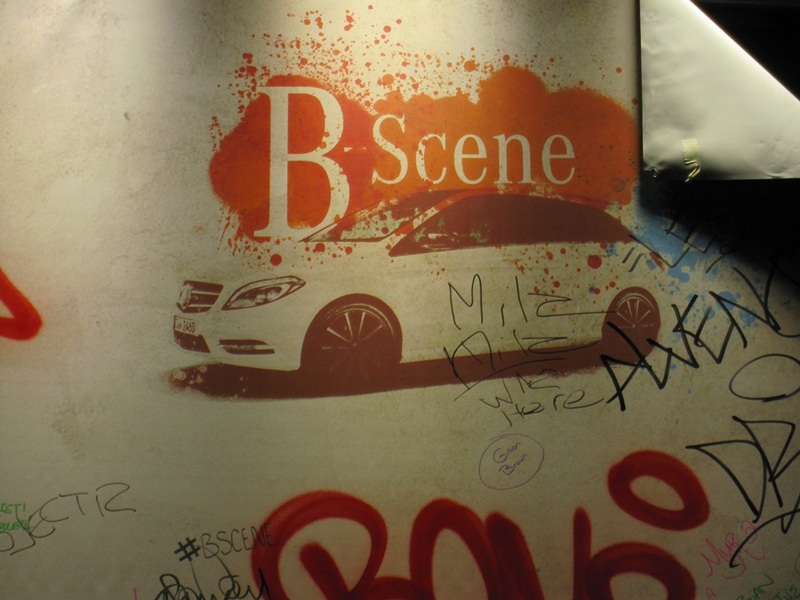 The B-Scene event included a variety of interactive stations of sweets & candy, a photo booth, street graffiti art and canvas art. 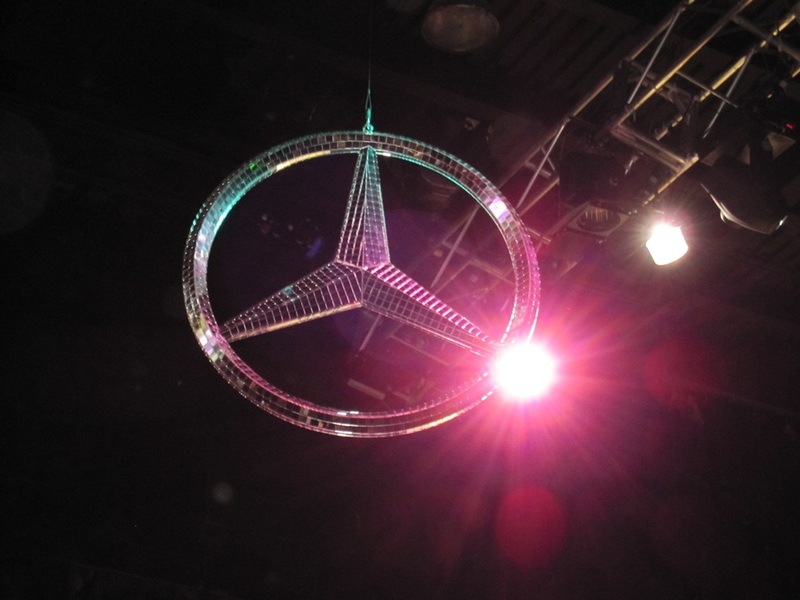 The event had a unique edge and is definitely an innovative way to capture a different market for Mercedes-Benz Canada. From November 23rd-24th the annual Rally of the Tall Pines will take place in Bancroft, Ontario about 2.5 hours North East of Toronto. 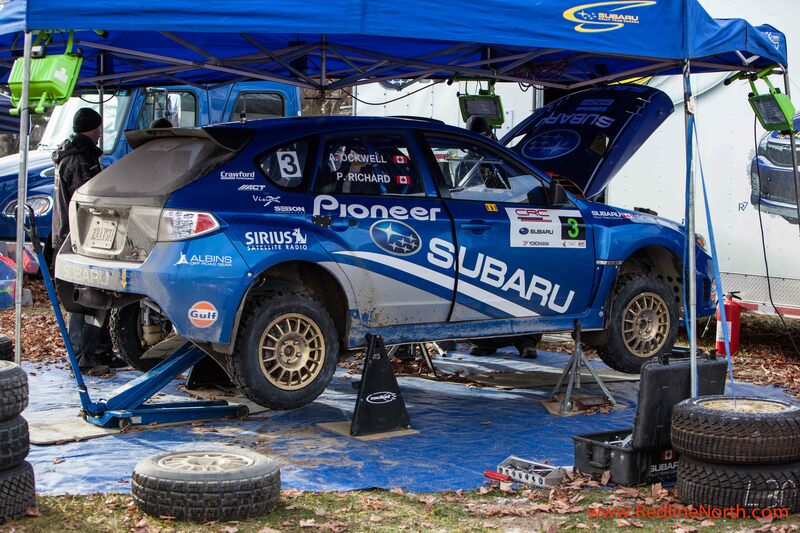 The Rally of the Tall Pines is the sixth and final leg of the 2012 Canadian Rally Championship season. This year RedlineNorth will be covering the 42nd running of the rally and taking in all the twists and turns throughout the day. Here are some pictures from past Rally of the Tall Pines. Over the past six months, there has been so much buzz from the local tuner community over the arrival of the Toyota GT 86 model here in North America. Well, we get it since it has been a while since Toyota sold a cool and sporty coupe here. However, has irony has it, in the US and Canada it is actually badged under Toyota’s Scion nameplate as the Scion FR-S. Whereas, outside North America it goes by the name Toyota 86 and in Europe it is called Toyota GT 86. Developed as a joint project between Subaru and Toyota it features a 2.0 liter boxer engine, 6 speed manual or automatic transmission, rear-wheel drive and 2+2 seating. The Subaru version is called the Subaru BRZ and mainly differs in its front end, where the grille has a hexagonal shape versus an inverted trapezoid in the Toyota and Scion. 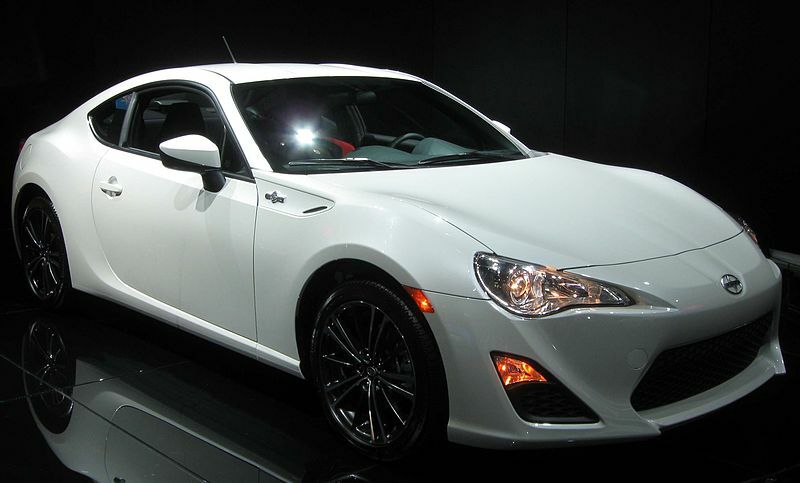 The name of the Scion model of “FR-S” refers to the following Front-engine, Rear-wheel drive and Sport. The “86” number refers to the Toyota AE86, an infamously regarded model series among car enthusiasts of rear-wheel drive sports coupes and hatchbacks. Badged and sold as the Toyota Sprinter Trueno and Toyota Corolla Levin from 1983 to 1987 these models were the last rear-wheel drive sports coupes built by Toyota until the release of the new 86. A great deal of the hype around these new model comes from the immense global marketing push of both Toyota and Subaru and as always here at RedlineNorth we like to observe how products are marketed in different regions. Well, take a look at this online video ad that has garnered a ton of viral traffic both good and bad – it shows one perspective of how your wife may react to you the purchase of the new Scion FR-S. Not sure it is going to win any political correctness awards but it sure gets the message across. We really appreciate the ad folks pushing the boundaries as it makes for great entertainment and we hope the car can live up to all this hype. Time will tell. Winter Tires – Yes or No? This time of year in the Great White North, also known as Canada, Canadians start to think about installing winter tires on their vehicles. There are a number of benefits to installing winter tires, not the least of which is the ability to come to a complete stop over a shorter distance compared to all season tires. However, there are still a large number of people that don’t wish to pay the additional cost, or take the time to install them. 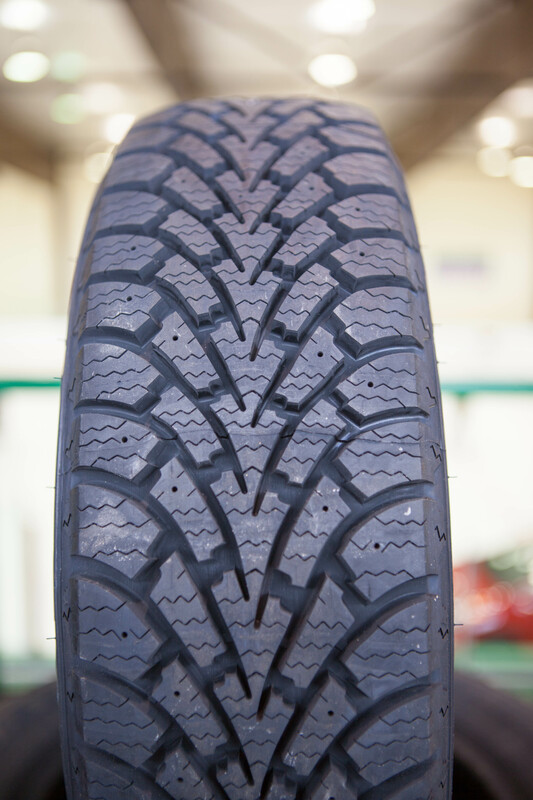 All season tires lose their traction below 7 degree Celsius (44.6 Fahrenheit) as the rubber compound in the tire becomes stiff. Winter tires, on the other hand, are made with a compound that retains elasticity which gives you better control and traction down to -30 degree Celsius and below. 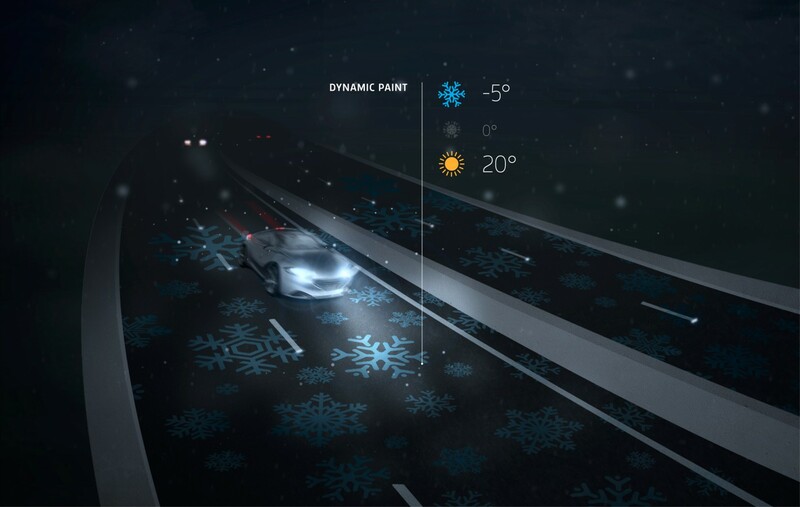 This combined with their unique tread pattern provide significantly more traction than all season tires, even on dry pavement. The following shows the difference in tread between an all season tire and a winter tire, in this case the Goodyear Nordic Winter Tire. 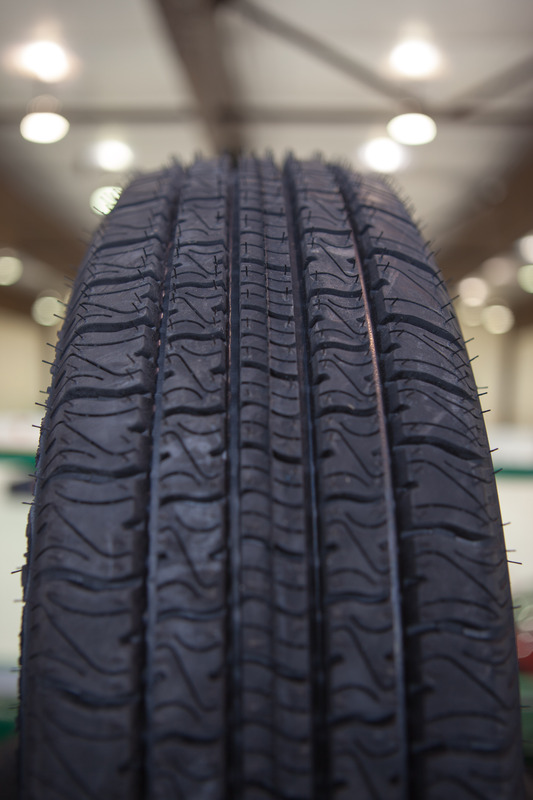 You’ll notice the wider tread pattern in the Goodyear Nordic tire, which helps to channel away the ice and snow. How much shorter does a car equipped with winter tires stop? The RedlineNorth Team recently participated in a hands on demonstration conducted by local retailer, Canadian Tire, showing just how much of a difference winter tires can make. Here’s a short video of the demonstration conducted at a local ice rink. The red car has been outfitted with Goodyear Nordic Winter tires, while the blue car is running on all season tires. Vehicles equipped with the Goodyear Nordics on average stop 45 feet shorter than the same car equipped with a leading all season tire. The RedlineNorth Team drove both of these vehicles and can honestly say the handling of the vehicle with the all season tires, especially when trying to corner, was simply awful at speeds above 15 kilometers per hour (9 mph), where as the vehicle equipped with the Nordics had excellent grip and gave noticeably better handling to the vehicle. Cost: The Goodyear Nordic tires start at around $100 each (although are currently on sale) and with balancing and taxes you are looking at approximately $500-$600, however, considering the cost to repair a vehicle after a rear end collision, that’s a small price to pay, not to mention the additional safety benefits for passengers. Of course if you live in certain jurisdictions in Canada, such as the province of Quebec, winter tires are now mandatory on passenger vehicles between December 15th and March 15th – with up to a $300 fine for non-compliance. In the first two years of mandatory winter tire enforcement the new measure helped to prevent an average of 574 road crash victims. So if you live in an area that regularly gets temperatures below 7 degrees Celsius in the winter and you do a lot of driving, the installation of winter tires is worth considering. Once you’ve had a chance to drive a car with them installed, chances are you’ll never go back to all seasons in the winter again. If you live in North America you may not be too familiar with the Spanish company called SEAT S.A. so we thought it would be interesting to take a closer look. Currently, they are the only major Spanish car manufacturer to develop their own cars in-house while also exporting to over seventy countries. Originally founded on May 9, 1950, by the state owned Instituto Nacional de Industria (INI), it is now a wholly owned subsidiary of the German Volkswagen Group, and marketed with a youthful sporty profile. Its current corporate headquarters are located in the town of Martorell just outside of Barcelona, Spain. The name SEAT, comes from the acronym Sociedad Española de Automóviles de Turismo (Spanish Touring Car Company, in English) however, in 1990 the name was officially changed to SEAT, S.A.
One of SEAT’s recent corporate traditions has been its naming nomenclature which has been inspired directly by Spanish culture. 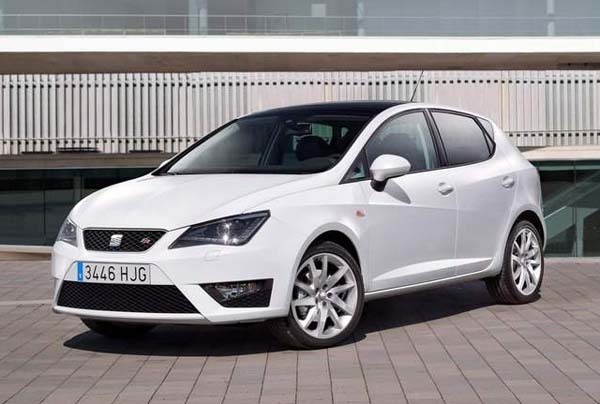 For example, a large number of SEAT’s production models have been named after various geographic locations in Spain such as; Arosa, Ibiza, Córdoba, León, Toledo, Altea, Alhambra, Malaga, Marbella and Ronda. However, there have been several exceptions to this rule including the recent example of the SEAT Exeo model name — which was influenced from the Latin word “exire” which means “to go beyond”. 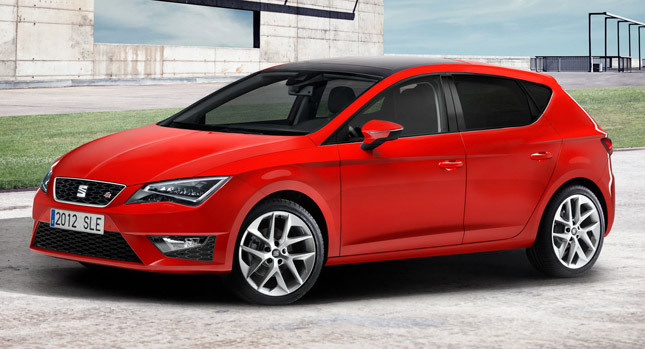 As mentioned, the SEAT brand aims for a youthful and sporty corporate identity which is reflected in all facets of their global marketing. We came across an interesting example of their youthful and sporty focus with this recent TV ad from Russia which has been attracting lots of attention online. We sure can’t imagine something this style flying in North America anytime soon. Nevertheless, it really is interesting to look at the differences between the various regions in regards to the marketing of the automobile. Sources: Wikipedia, YouTube, Seat S.A. corporate website. Over the past week, we saw lots of significant negative news in the auto world with the announcement of Suzuki declaring Chapter 11 Bankruptcy in the US and the class action lawsuits filed against Hyundai Canada and Kia Canada. However, there was some positive ink including exciting news for Mazda fans as Mazda Motor Corporation’s Sports Car Chief Nobuhiro Yamamoto announced the award winning Mazda RX-7 will return to the marketplace in 2017. 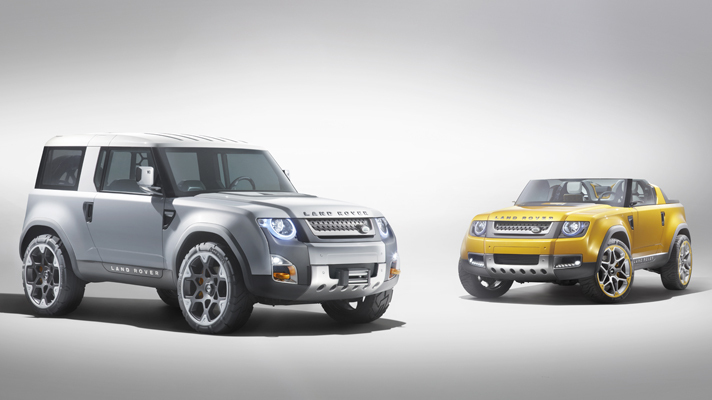 Adding to the fun, there was also a story from the Washington Post about the new Land Rover Defender coming to the U.S. which was confirmed by Land Rover executives at the recent 2012 Paris Auto Show. Based on the current smashing success of the Range Rover Evoque we better get in line now to review one of the these babies down the road.